Lena Waithe and Tarell Alvin McCraney’s new shows just premiered at Sundance. 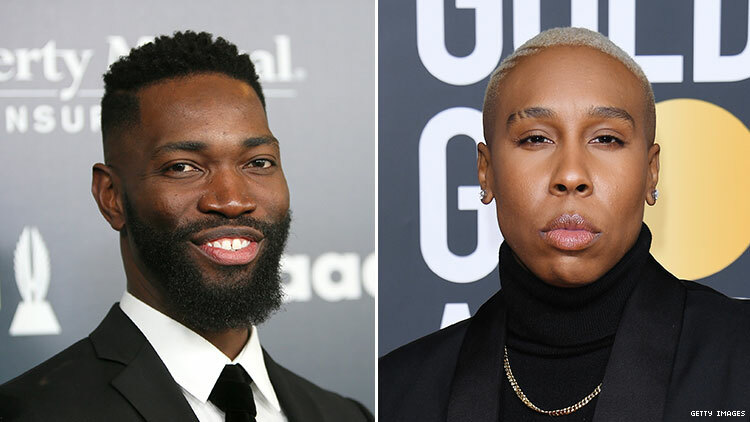 Thanks to Lena Waithe and Tarell Alvin McCraney, television is about to get way more Black and queer. (Hey, season two of Pose!) The Emmy and Oscar winners, respectively, each premiered their latest projects during the Sundance Film Festival to rousing applause and emphatic approval. Waithe is creator and executive producer, along with Ben Cory Jones, of BET’s Boomerang, a recharge of sorts of the iconic 1992 comedy film starring Eddie Murphy, Robin Givens, and Halle Berry (who returns as an executive producer). The series, which premieres on the network Feb. 12, picks up some 20 years later with the kids of the original characters trying to step out of their parent’s successful shadows. Tequan Richmond (Everybody Hates Chris) and Tetona Jackson (Hulu’s All Night) lead a cast that includes Leland B. Martin, Brittany Inge, RJ Walker, and Instagram star Lala Milan. McCraney’s show, his first television project after Moonlight, is an original drama for Oprah Winfrey’s OWN called David Makes Man. The show follows a 14-year-old prodigy from South Florida projects who is haunted by the death of his closest friend and relied on by his hardworking mother to find a way out of poverty. It explores childhood trauma and how one’s imagination can help them survive. Newcomer Akili McDowell stars opposite icon Phylicia Rashad and Alana Arenas among others. Michael B. Jordan serves as executive producer of the series set to premiere later this year. When both Boomerang and David Makes Man hits television screens, the world will see an influx of the diverse representations of Black and Black queer folks we’ve so long feigned for. Make sure your wigs are secured!